Welcome to McDowell Mountain! We are a public school in the small and supportive community of Fountain Hills where we proudly educate students from preschool to third grade. With this focus, we are able to center on the developmental and academic needs of very young children, providing the foundation that is essential for student success in the upper elementary level and beyond. All McDowell Mountain teachers are fully certified and highly qualified with an average of 19 years of experience in education and 10 years in the district. We strive to provide the best education available for your child. If you would like more information about our letter grade and state test scores, we encourage you to take a look at our School Report Card. For more information about Quality First ratings and other information for parents and families, please visit the Quality First website. 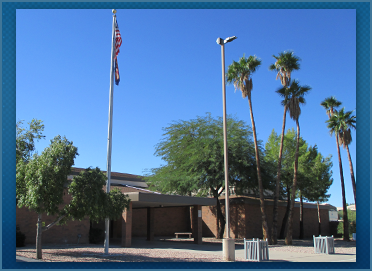 Welcome to McDowell Mountain Elementary School! At McDowell Mountain the school staff set high expectations for students, in both academic progress and character. We want students to be the best they can be, in all parts of their lives. As stated in the school’s mission statement, “Everyone is a learner and will encourage and help others to be successful learners.” This applies not only to students, but to staff and parents as well. Teachers and all staff are active participants in ongoing professional development and analysis of your students’ needs. We encourage parents to play an active role in their children’s educations, as teachers and parents are partners in students’ academic and character development. At MMES we work together with parents and the community to set goals and implement positive programs for students. We will regularly update information about these goals on our website, share key events with you on our website and Facebook page, through our monthly newsletter “Falcons on Fire”, and via the weekly district email newsletter “Falcon Focus”. The McDowell Mountain students, staff, parents, and community will cooperatively provide a safe, child-centered environment that builds self esteem, self-discipline, and the essential skills for life-long learning. While adapting to the differences of others and by using responsible decision making, students will exhibit citizenship with the motivation to invent, dream, explore, and communicate in our changing world. At McDowell Mountain School everyone is a learner and will encourage and help others to be successful learners. Full Day: 8:45 a.m.–3:20 p.m.